"I really enjoy that as company we participate in these charitable events together and that Bobby (Reed, CEO of CTS) prioritizes opportunities for us to give back instead of making them an afterthought,” said CTS Lead Front-end Developer Jeremy Hawes. “I am looking forward to next year’s fun run as well as the other charitable events we have planned this upcoming year." 2018 marked the 25th anniversary of the run since its debut on Thanksgiving Day of 1994. In that time, the run has grown from 796 participants to nearly 30,000, making it the largest Thanksgiving Day fun run in the entire country. "The Run to Feed the Hungry is an amazing event that has become a Thanksgiving Day tradition,” said Bobby Reed, CEO of Capitol Tech Solutions. 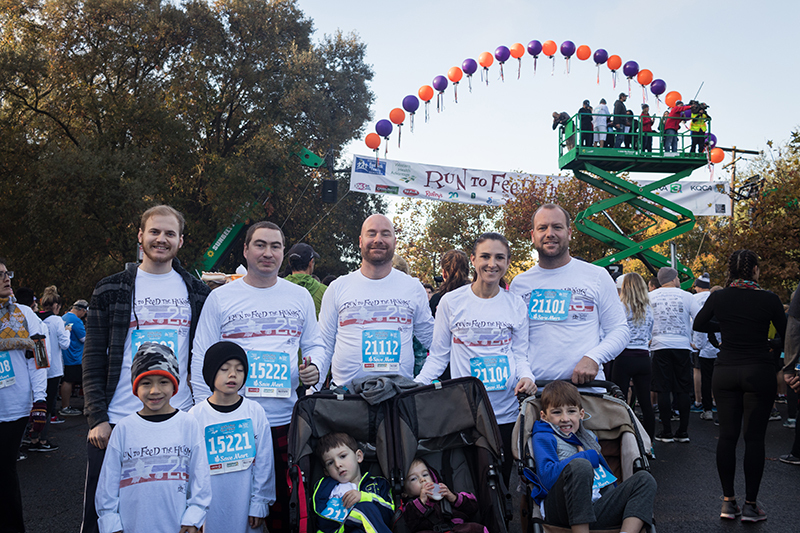 “The run provides an excellent opportunity to support the efforts of the Sacramento Food Bank & Family Services and the run itself is just a great way to start Thanksgiving." For information on how to register and donate toward next year’s fun run or to see the race results from this year’s run visit the Run to Feed the Hungry website.